Courtesy of Mili Kuo (Dixon And Nemechek). Whatever you choose, it’s becoming easier to find something handsome and well-made, thanks in part to the duo behind TRNK. Since 2014, the website has been stocking all of these items and more. 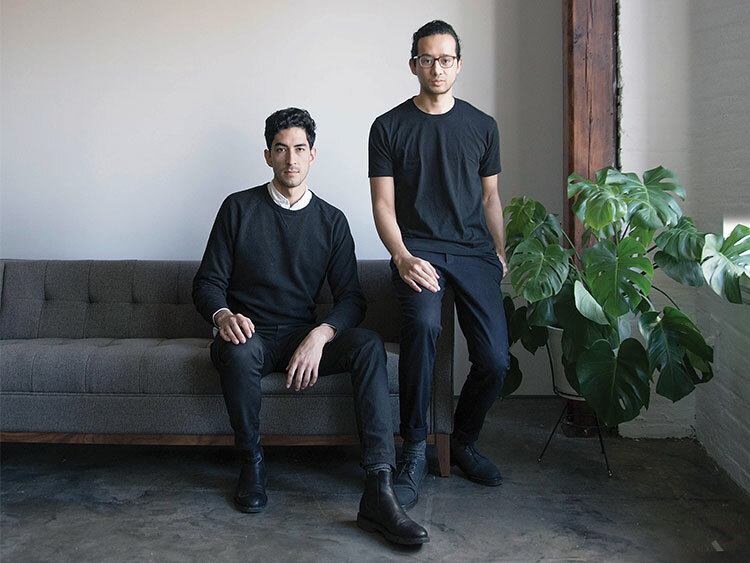 Both a commerce and content destination, TRNK-NYC.com provides a community and a resource for modern-home enthusiasts, which is exactly what founders Tariq Dixon and Nick Nemechek call themselves. The couple and business partners are doing their part to ensure the demise of the poorly appointed bachelor pad. Who wouldn’t be grateful for that? “The inner workings of the American home are changing dramatically,” says Dixon. “There are so many variations of the family.” This diversity was something he and Nemechek didn’t see represented well in stores before creating their company. Specifically, finding that gender roles and duties had outgrown their parameters (“Men are taking on much more ownership over domestic responsibilities that would have been unheard of decades ago,” Dixon says), the pair created a home design store that felt modern and comfortable. “We love spending time at home,” Dixon says. “We love thinking of our home not just as serving the two of us, but as a way for us to get to know our friends and family better.” TRNK is an extension of that. A man with good taste would have no problem feeling at home, or shopping for it, here.